News from October, 2008 on Madison - St. Clair Record. Two Illinois citizens have filed suit against Bayer, seeking more than $2 million and claiming a drug the company produced caused acute renal failure and led to the death of one of the complainant's spouses. Matoesian Jurors in a medical malpractice trial against a plastic surgeon accused of negligently peforming a breast reduction surgery will not hear evidence that the plaintiff was a public aid recipient. Norfolk Southern Railway wants Madison County Circuit Judge Andy Matoesian to dismiss a Federal Employers' Liability Act (FELA) suit based on the doctrine of forum non conveniens. Oncologist Thomas Ryan, M.D. wants a wrongful death complaint filed against him in Madison County dismissed over objections to the lawsuit's certificate of merit. Lisa Boerm has filed a wrongful death suit on behalf of her mother against Towers Fire Apparatus Co., alleging her mother died after the vehicle she was riding in collided with a vehicle one of the company's employees was driving while intoxicated. Endelisa Simmons has filed suit against Lauren Sweitzer, alleging she obtained lupus after a collision. A man who was assaulted at a Collinsville tavern filed suit against Steve Joe Piper alleging he was attacked for no reason. Vicky J. Boyd has filed suit against Drazen Bertanjoli and Patricia A. Boyd, alleging she received neck and back injuries after a collision in Edwardsville. Walgreens wants a lawsuit that alleges it gave the wrong dose of medication to a patient transferred from Madison County to Jersey County. Crowder A trial against Dynegy Midwest Generation is scheduled to begin at 9 a.m. on Oct. 6, in Madison County Circuit Judge Barbara Crowder's courtroom. A Belleville woman has filed suit against a man, alleging her back and hip were injured after a rear-end collision. 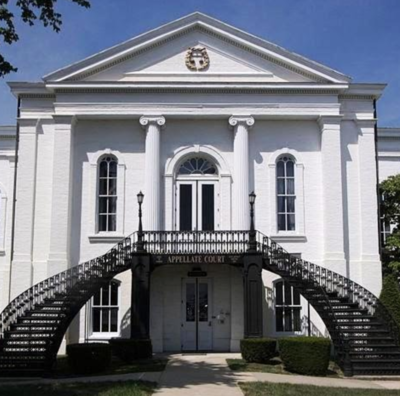 A St. Clair County jury ruled Sept. 25 for Belleville neurosurgeon Dr. Robert Schultz over a man who alleged his blindness was the result of an invasive procedure involving water-based contrast dye. Jerry Rhodes has filed suit against Extra Help and Fairfield Processing Corporation, alleging he was wrongfully terminated and was denied a position previously promised him after he filed for worker's compensation. An Illinois company has filed a breach of contract complaint against a Missouri company, alleging it failed to pay for services it performed. A Utah woman has filed an asbestos suit on behalf of her recently deceased husband against 13 defendant corporations, claiming the mesothelioma with which he was diagnosed was wrongfully caused. A Missouri woman has filed an asbestos suit on behalf of her recently deceased husband against 13 defendant corporations, claiming the mesothelioma with which he was diagnosed was wrongfully caused. A Florida woman has filed an asbestos suit on behalf of her recently deceased husband against 13 defendant corporations, claiming the mesothelioma with which he was diagnosed was wrongfully caused. A Washington woman has filed an asbestos suit on behalf of her recently deceased husband against 13 defendant corporations, claiming the mesothelioma with which he was diagnosed was wrongfully caused. A former railway worker and his wife have filed a suit against BNSF Railway Company, claiming the man was diagnosed with lung cancer and the woman was diagnosed with asbestosis as a result of the man's work. A Wisconsin man and his wife have filed an asbestos suit against 31 defendant corporations, claiming the mesothelioma with which the man was diagnosed was wrongfully caused.